For those who like a little more power in their play, taking to the trails in an all-terrain vehicle (ATV) or utility-terrain vehicle (UTV) leaves other kinds of outdoor activities in the dust. ATV/UTV riding is one of the fastest-growing outdoor sports in the state, according to reports from the Wisconsin Department of Natural Resources, and all indicators show that trend is likely to continue. It’s certainly growing in the Jackson County area, which has become a hotbed for ATV/UTV riding. That’s thanks to the wealth of connecting trails that twist and turn through the towering trees, across streams, and along the rolling fields of Jackson County and beyond. “The nice thing about ATV riding in Jackson County is there are more than 100 miles of trails in Jackson County that link to an additional 135 miles in Clark County, so it’s one very large set of trails,” said Chris Hardie, executive director of the Black River Area Chamber of Commerce. The new highway underpass is safe for multi-use; the light at the side flashes when a pedestrian is crossing through the tunnel, alerting operators of motorized vehicles to proceed carefully. This year, the trail system in Jackson County is even better thanks to a new corridor that just opened up for the 2017 season. This three-mile stretch of new trail winds through Black River Falls, providing access to the city’s restaurants and hotels. 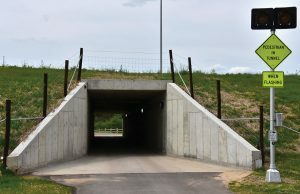 A key part of this project is a new underpass that was constructed beneath the four-lane Highway 54, eliminating a safety hazard for both trail users and vehicles sharing the high-speed highway. He added the new corridor also connects the Villages of Millston, Hatfield, and Pray with the rest of the trail system. 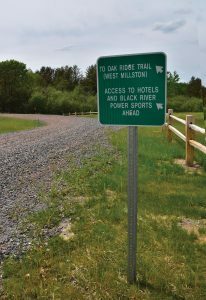 The new trail has provided benefits for both the community of Black River Falls and the visitors who come to enjoy the trails, but local business owners and trail users aren’t the only ones who have recognized its success. With miles of trails winding through abundant state and county forest land, an ATV/UTV ride along Jackson County’s trail system reveals beautiful scenery at every turn. The Black River Falls trail project was recently named winner of a 2017 Recreational Trails Program Achievement Award by the Coalition for Recreational Trails (CRT), a federation of national and regional trail-related organizations. The CRT returns federal gas taxes paid by off-highway recreationists to states for trail development and maintenance. These monies, Schweitzer said, were a key source of funds for Jackson County’s trail project. 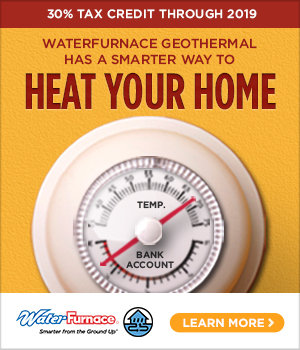 The Department of Natural Resources nominated the project for the award, which was presented in Washington, D.C., in June. The CRT award culminates years—even decades—of work by a diverse group of organizations and individuals. Hardie noted that this project was 15 to 20 years in the making, due in large part to the land and easement acquisitions necessary. 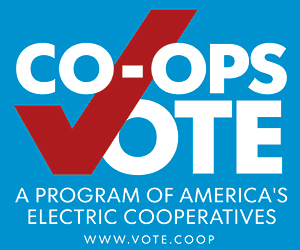 The project’s success also hinged on partnerships among the five political jurisdictions through which the new trail passes, the local business community, and private landowners. The remarkable cooperation that ultimately occurred among all these different entities can be partly credited, Schweitzer said, to all parties recognizing the growing economic value of the ATV/UTV trails. 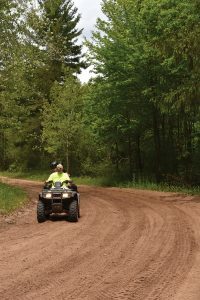 The new trail corridor connects ATV/UTV riders with Black River Falls’ eating and lodging establishments. Helping to fuel the project were the results of an economic impact study conducted by the University of Wisconsin-River Falls, UW-Extension, Jackson County Forestry and Parks Department, and the Black River Chamber of Commerce that found trail users bring in $7–9 million annually to the economy of Jackson County. 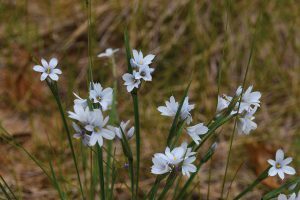 Furthermore, the survey found that most of the trail-generated revenue is coming from out of the area. “Ninety-one percent of the trail users come from outside Jackson County, so it has a great economic impact on this area,” Hardie said. Regardless of where they come from, trail users are coming to Jackson County in big numbers. Schweitzer said 20 years ago, a “big weekend” for the county’s trail system was perhaps 100 machines a day. These days, counters placed in certain spots along the trails have registered as many as 900 machines passing by on a prime weekend. In addition, the sport has evolved as it’s grown. Schweitzer said the shift to UTVs, which can seat up to four people, has made the sport more suitable for families because they can ride the trails together. He noted that about 60 percent of all riders on the Jackson County trails are now riding in UTVs, and many of the riders are families. He also credited ATV safety classes and extensive outreach efforts by the Wisconsin ATV Association for making ATV/UTV riding a safer sport in general, with a greater awareness of trail etiquette. And he credits a whole lot of people for making ATV/UTV riding a better sport in Jackson County specifically, thanks to the newly enhanced and improved trail system made possible because so many individuals and organizations worked together. “It was a lot of work, and a lot of not giving up, and just keeping it moving forward,” he said. 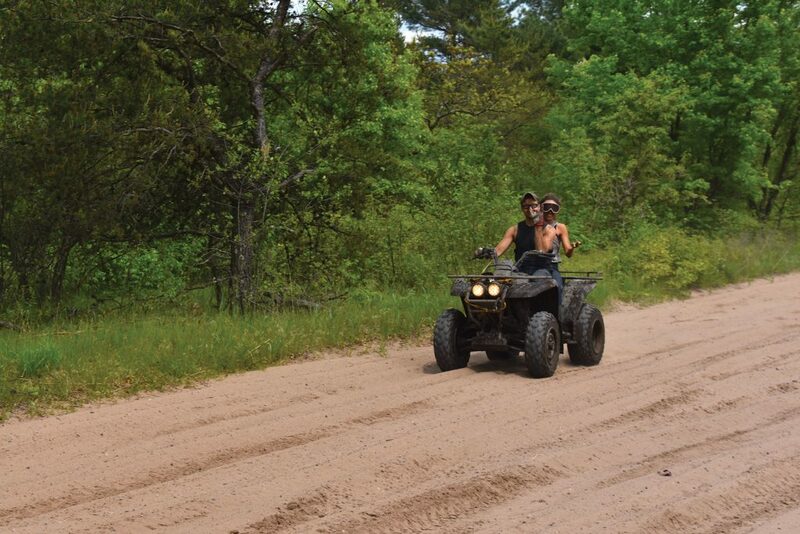 To learn more about ATV/UTV trails in Jackson County, contact the Black River Area Chamber of Commerce, 1-800-404-4008 or blackrivercountry.net, or the Jackson County Forestry and Parks Department, 715-284-8475 or co.jackson.wi.us. A downloadable trail map is available here.